After nearly two months of fighting, Israel and Gaza have agreed to an open-ended ceasefire, and for the third time in six years, Israel finds itself looking back at its attempt to stop the barrage of rockets fired at its citizens from the Hamas-controlled enclave of Gaza. 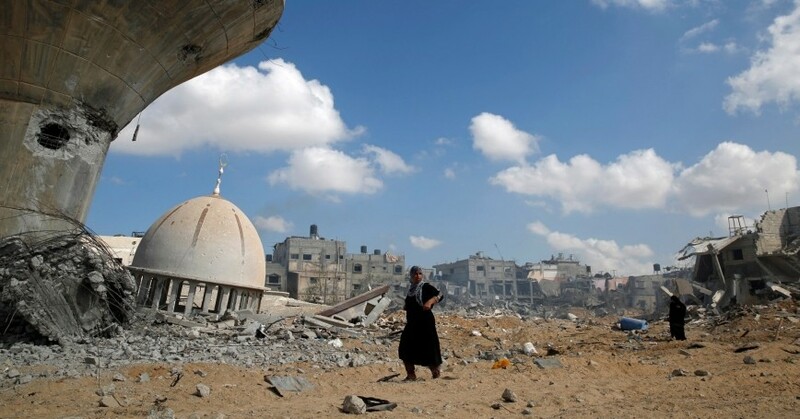 Ever since withdrawing from Gaza in 2005, Israel has sought to prevent the smuggling of weaponry into the coastal territory and to deter militants from firing rocketry by exacting significant tolls on Hamas and other terrorist organizations operating in the Strip. While many have highlighted Protective Edge's technological innovations and the calls for radical changes to the status quo—be it in the reoccupation of Gaza, the international demilitarization of Hamas, or a jump-start to a true peace negotiation—in the end, most of the operation's tactical and strategic lessons were quite traditional. For all the attempts to find technological quick fixes or enforce a permanent settlement, Operation Protective Edge has highlighted that a war of attrition, known as a “long war”, remains the only viable strategy in the current environment. Protective Edge did display remarkable advances in military technology. As a result of its investment in a national advance warning system and Iron Dome, its missile defense system, Israel withstood a Hamas-led barrage of 4,450 rockets and mortars fired from Gaza. Most impressively, rocket fire only caused 7 civilian casualties, a 652:1 ratio that is unparalleled in any other conflict. For comparison, the ratio during Pillar of Defense in 2012 was 301:1, and in Cast Lead in 2008–09 was 187:1. Moreover, while Hamas's bombardment managed briefly to scare some Western airlines into suspending flights to Ben Gurion Airport, Israel's strategic infrastructure remained unharmed. Finally, effective air defenses gave the Israeli government the breathing room to control the pace of its military operations to maximum effect. Sustained popular support allowed Israel to focus on destroying the assault tunnels it had discovered during the ground phase, rather than exclusively targeting the rocket threat. The operation also underscored other less visible, yet no less impressive demonstrations of technology and intelligence. The successful targeted killings of several senior Hamas commanders highlighted the impressive nexus between intelligence-gathering and military action. The Israel Defense Forces' practice of calling, text-messaging, and “roof knocking” (or dropping empty shells) to warn Palestinian civilians of a military operation were all made possible by technological advances and high quality intelligence. Additionally, rather than send troops deep into Hamas's vast tunnel architecture, the IDF employed new and advanced robotics, saving soldiers' lives. Similarly, the repeated interdictions of Hamas frogmen before they could cause civilian casualties further demonstrate the IDF's ability to identify and interdict targets quickly. The remainder of this commentary is available on the-american-interest.com. Raphael Cohen is an associate political scientist at the RAND Corporation. Gabriel Scheinmann is the director of policy at the Jewish Policy Center. This commentary originally appeared on The American Interest on August 31, 2014. Commentary gives RAND researchers a platform to convey insights based on their professional expertise and often on their peer-reviewed research and analysis.